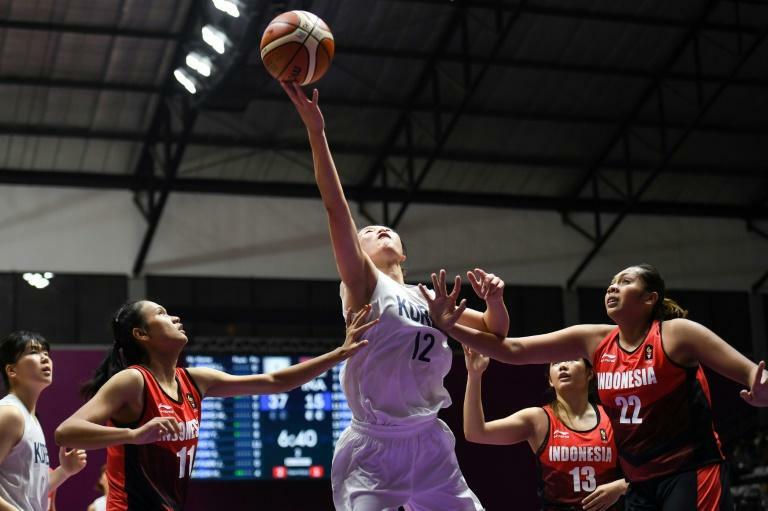 A joint Korean women's basketball team marked their Asian Games debut Wednesday by pulverising hosts Indonesia 108-40, roared on by giddy fans waving unified Korean flags. North Korean Ro Suk Yong, one of three Pyongyang-based players in the away team, top-scored with 22 points for the sharp-shooting visitors and fellow northerner Kim Hye Yon added 14 in a lop-sided Group X opener in Jakarta. Around 100 Korean fans in white T-shirts bearing a blue unified Korean flag with the slogan "One dream, one Corea", serenaded the players and banged drums as they tried to drown out a wall of noise produced by cymbal-crashing locals. "We haven't had a lot of time to work on our team chemistry but we speak the same language and we are all on the same page," Korean coach Lee Moon-kyu told AFP. "North or South Korean, we all have the same desire to win." There was a stark contrast between the South Korean players with their dyed hair and trendy bobs and the sensible haircuts of their northern cousins. But the harmony demonstrated on the court suggested they will be medal challengers. North and South Korea are also fielding united teams in canoeing and rowing at the Asian Games in the latest sign of thawing relations on the troubled peninsula. 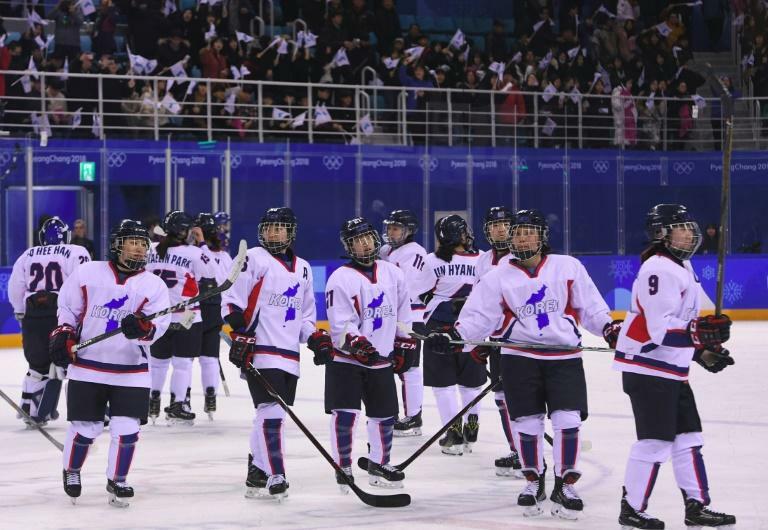 The two countries are also set to march together at the opening and closing ceremonies after forming their first-ever unified Olympic team -- a joint women's ice hockey side -- for February's Winter Games in Pyeongchang. The Asian Games formally open on Saturday and run until September 2. The joint Korean hockey team's participation in Pyeongchang provoked a backlash in the South, with critics complaining that Seoul was depriving its own athletes of the chance to compete. But ultimately the romance of the occasion, sound-tracked by North Korea's famed "army of beauties" cheerleaders, melted hearts and became one of the symbols of the Winter Olympics, despite the team failing to win a single game. Ties between the neighbours have improved since the Winter Olympics, with North Korean leader Kim Jong Un and South Korean President Moon Jae-in subsequently meeting at an historic summit -- just months after a nervous period of missile launches and threats of nuclear war from Pyongyang. After Wednesday's game the Korean players went over to bow to fans, some unfurling a banner with a photo of Kim and Moon holding hands at that April summit. "We're not concerned with politics," insisted coach Lee. "It's about hunger and passion -- and we all have that." Outside the venue, Korean fans gave the unified team the thumbs-up. "Now days have become peaceful so maybe this event will help both Koreas to become one," Kang Hyun-lee said, proudly sporting his United Korea T-shirt. "Maybe from here, in terms of politics, in terms of the economy, it will be bigger and bigger."